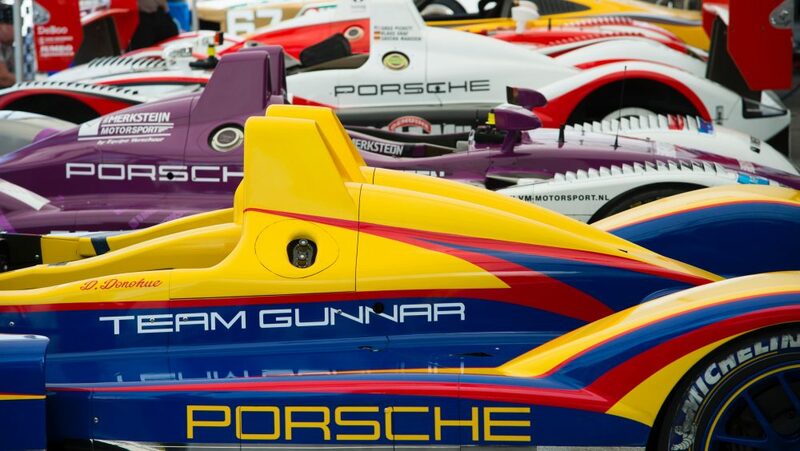 Every edition of the Porsche celebration known as Rennsport Reunion is worth noting if you’re even tangentially interested in cars from Stuttgart. 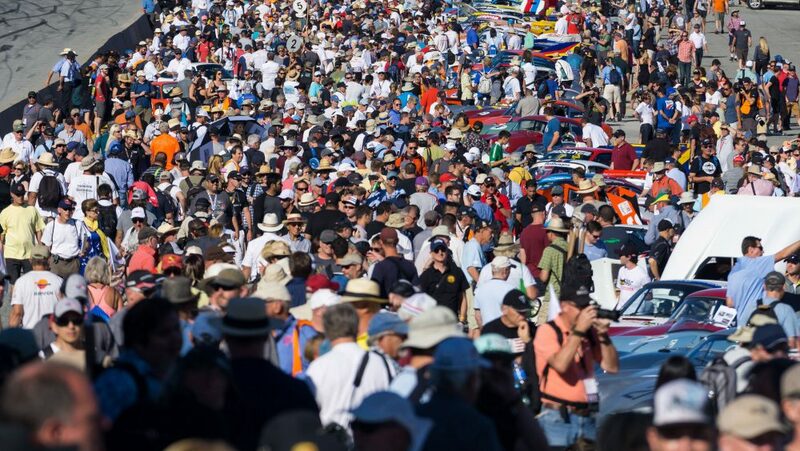 From it’s beginnings at Lime Rock Park in 2001 to its current home on the west coast, the now four-day-long motorsport and concours mixture is arguably the ultimate source of vintage racing history to be focused one of the most successful marques to set tires to track. 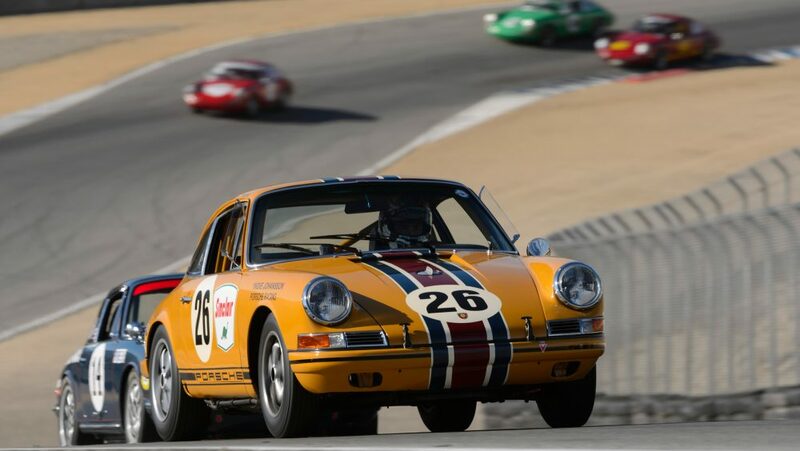 The upcoming sixth edition will be held during the final weekend of September, and it is a particularly important one seeing as Porsche is celebrating its 70th birthday of sports car production this year. 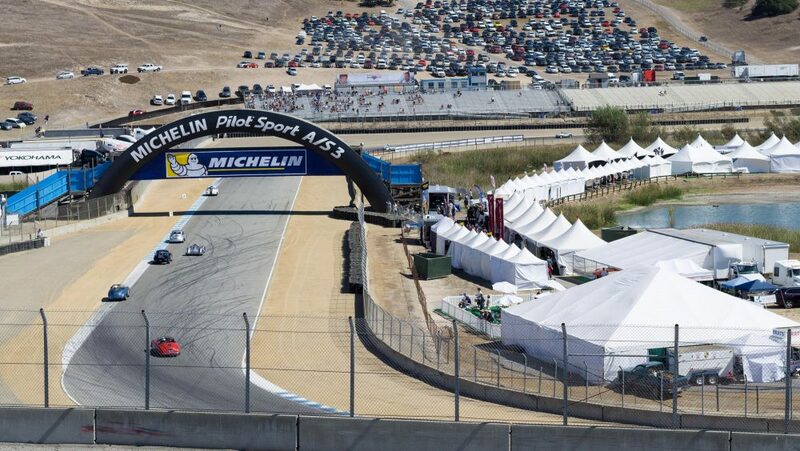 Taking place at WeatherTech Raceway Laguna Seca, Rennsport Reunion VI will gather the likes of 550 Spyders and 917/30s in the same place; 935s will bring their turbochargers and turbofans into the paddocks adjacent to the Gulf liveries worn by 917Ks; and well over 1,000 other models for the road and race track will be joining them for the festivities. 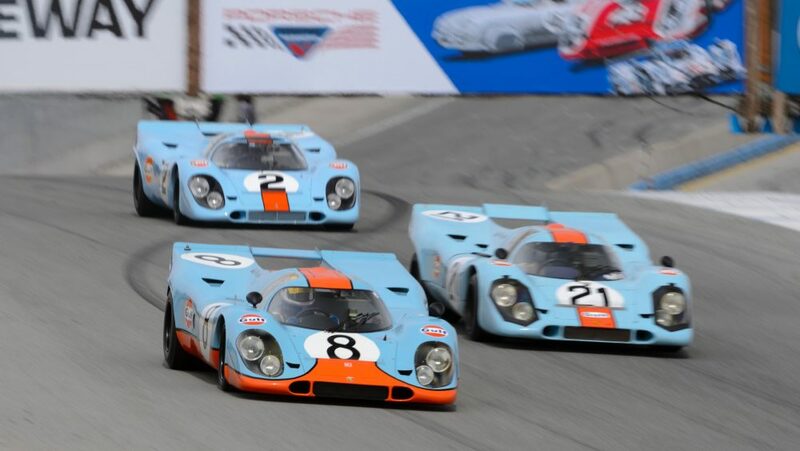 More modern machinery will be among the ranks of the historic offerings, for the Porsche story is not one that’s relegated to any one decade. 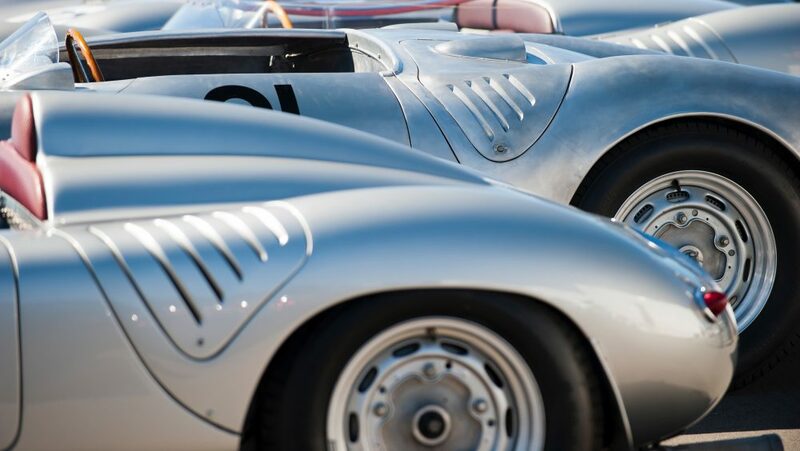 Just a few years after the first 356 was put onto public roads, the company has been fielding race cars across a wide spread of competitive disciplines, a legacy which has shone brightly in every era of sport, and one that continues to write history (just look at the 919). 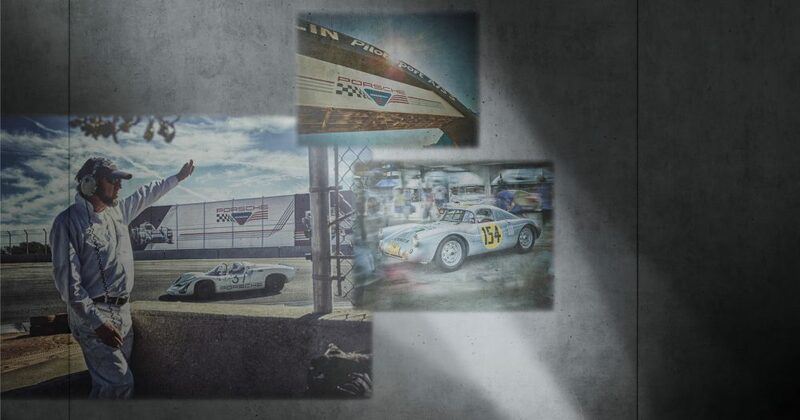 Porsche has consistently set high watermarks in the realm of racing, but their aesthetic side has always kept up. 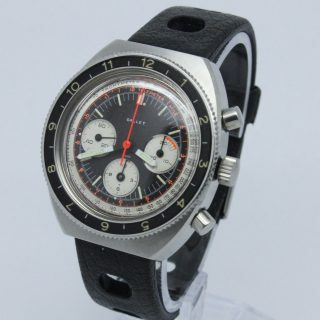 Beyond automobiles, the brand had produced apparel and accessories for many years, with the Porsche Design Studio being officially established in 1972 by the same man who designed their iconic 911: Ferdinand “Butzi” Porsche. 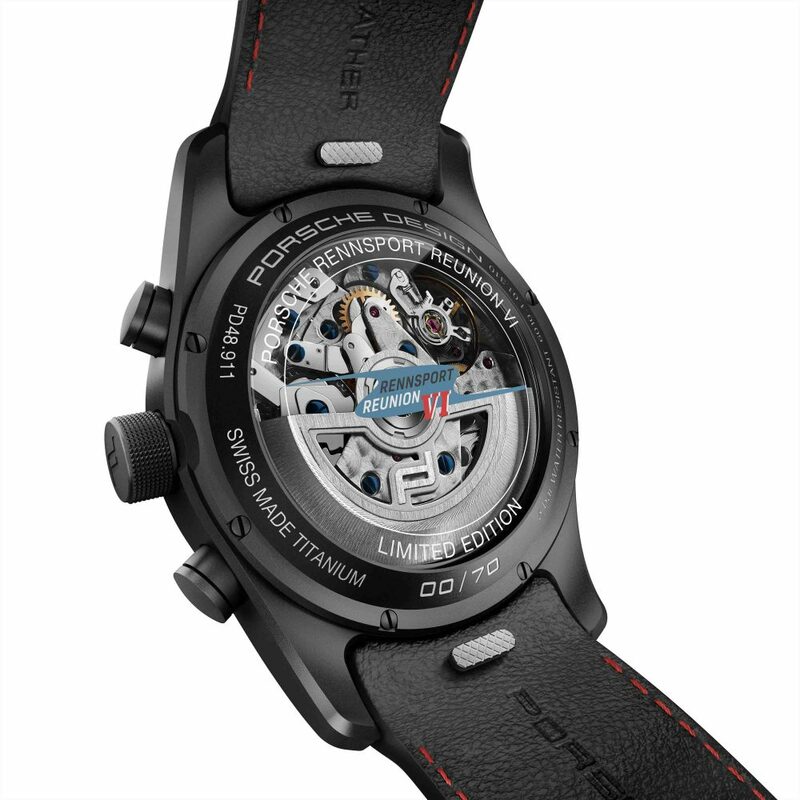 The first timepiece to come from the studio was simply called the Chronograph I, a black wristwatch released in the first year of the new “Porsche Design” branding, a teutonic realization of purpose merged with form. 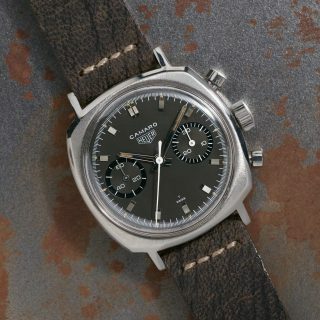 It was a bold, black piece, which was quite an uncommon look in the early ’70s that were still dominated by bright, metallic looks on the wrist. 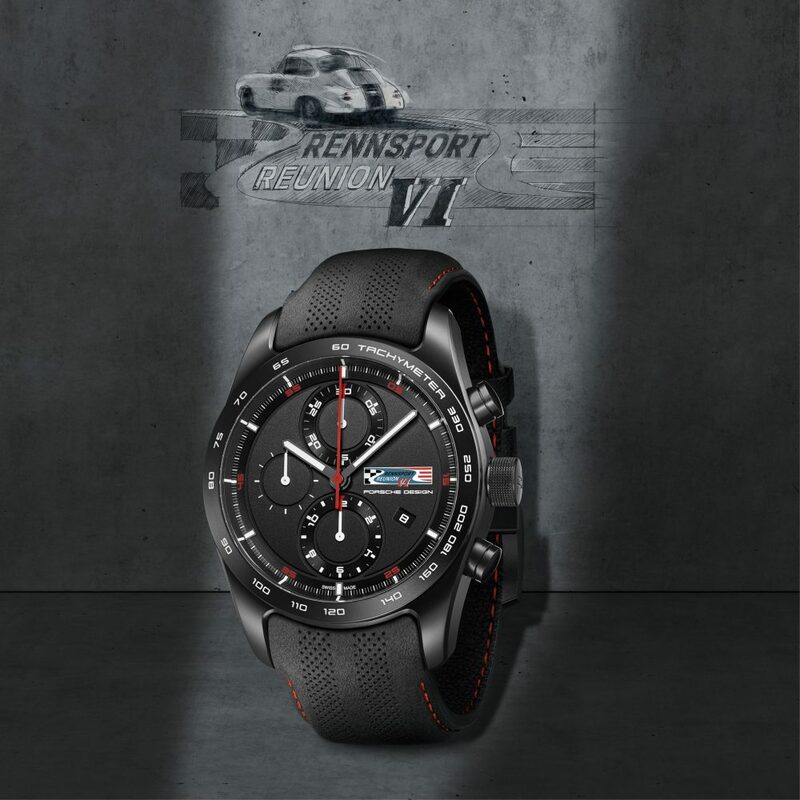 They’ve partnered up with multiple names long established in the industry in the time between then and now, but we aren’t here to talk about all of them, but instead to highlight the newest: the Chronotimer Rennsport Reunion VI Limited Edition. 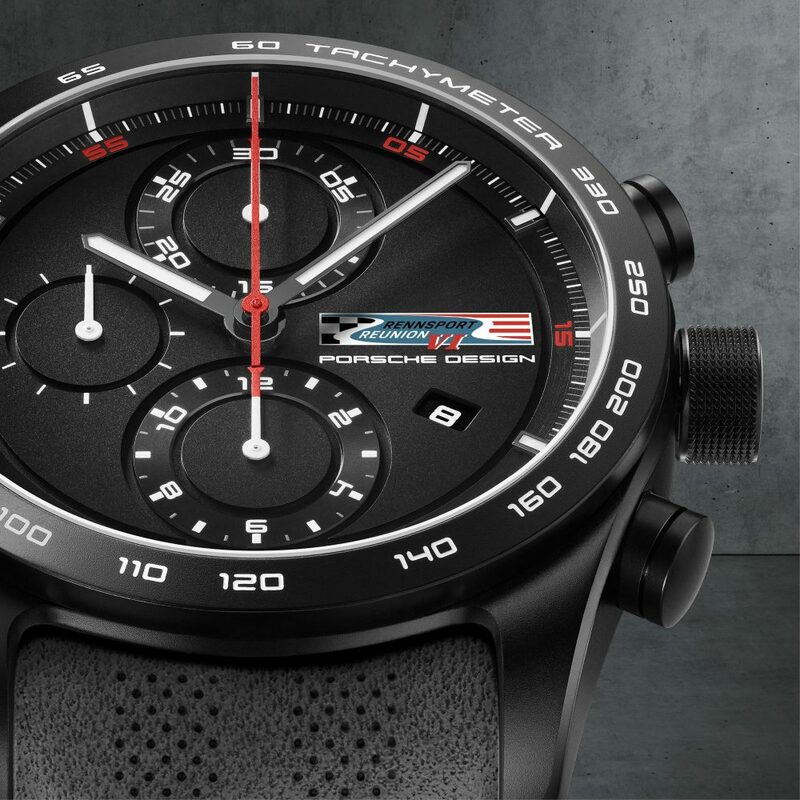 Only 70 will be produced, and given the birthday bash at hand, the design is an appropriate homage to the black Chronograph I that all Porsche watches trace their roots to. 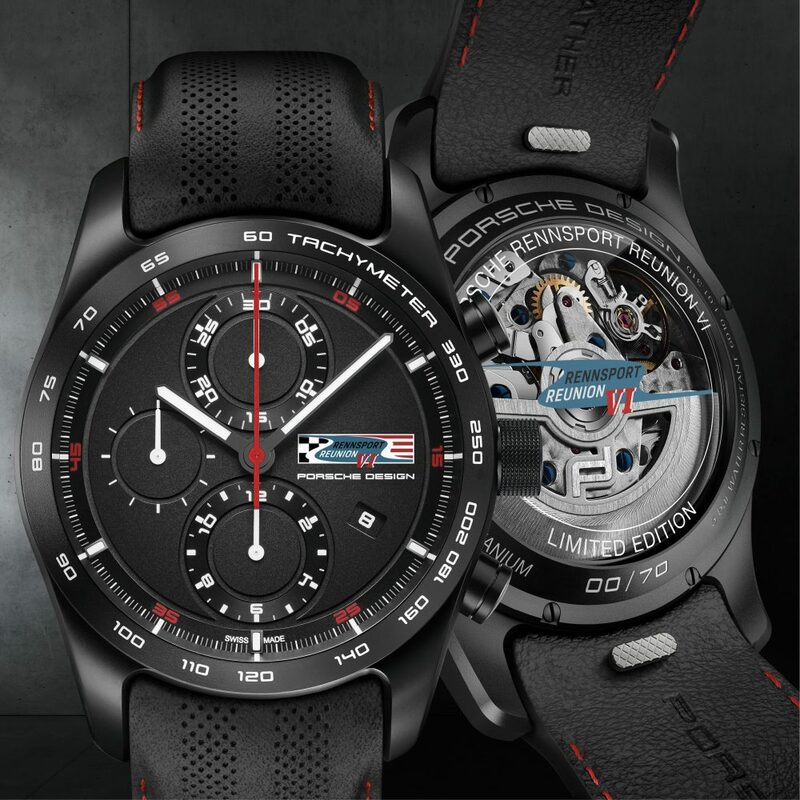 The case is made of titanium, the screw-on sapphire crystal case back exposes the view of the ETA Valjoux 7750 movement, and along with the official event logo the dial design includes just the right amount of nods to the Porsche’s racing history—the red and white theme hinting at the curbing of many circuits, without being overt about it. 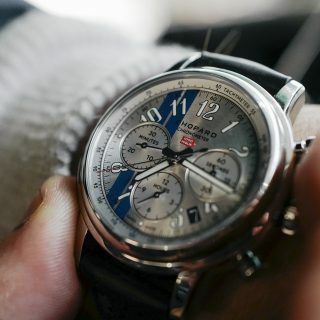 The leather strap is similarly understated, with the black leather—the same material found in the cockpits of their road cars—accented with a slight touch of red in the stitching. 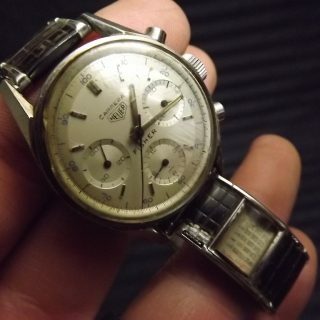 The Chronotimer is 42mm in diameter, 14.62mm in height, so fear not, it is not an oversize trendy item that will look silly decades down the road. 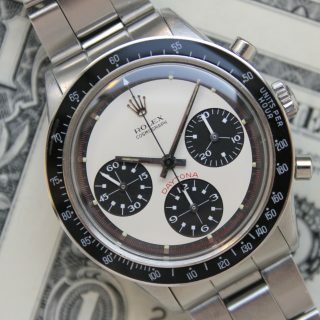 These watches will all be numbered as one would expect of such a limited run, and you’d also be right in thinking that their owners to be will receive the appropriate trimmings to go along with the watches themselves—collectible boxes, plaques, booklets, all that’s there for those who geek out on these exclusive bits of automobilia. 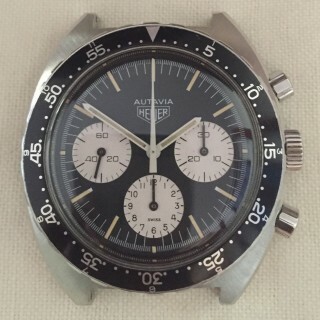 Pre-orders have begun this month, and if you’re interested in getting a specific number of the 1-70, you can make a request on a first-come, first-served basis. 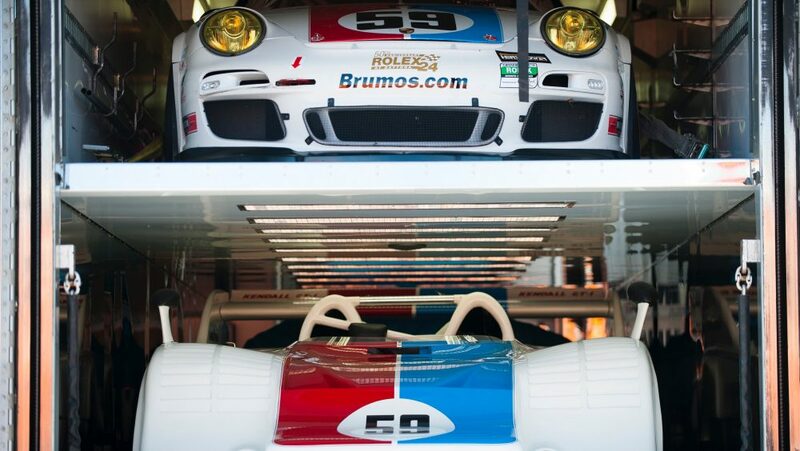 Deliveries will coincide with Rennsport Reunion VI, which begins on September 27th. 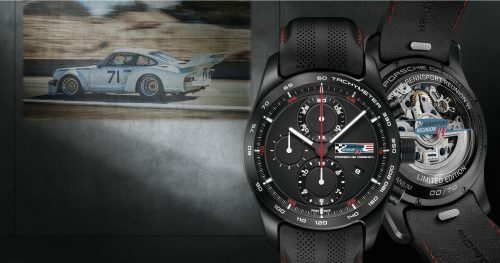 Visit this link to learn more about the watch, and to reserve a piece of Porsche and Rennsport history.